This book is awe-inspiring. All the designs and down-to-earth stories about the now-successful designers really motivate me to have faith in what I do. It shows how design is always supposed to be fun and be about the people. Just an awesome book! To those who gave it 1 star, I think next time you should read the description more carefully. 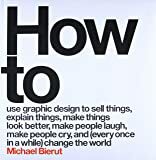 It's not a book that shows you how to design t-shirts like any tutorial book and what not. Just spend 1 minute considering your buying choice and keep that 1-star for something else. 5.0 颗星，最多 5 颗星Worth its weight in gold. This book should be essential reading for every designer/illustrator/creative person. It's visually stunning and thought-provoking, with hundreds of wonderfully diverse designs spanning an entire decade of Threadless t-shirts. Aesthetics aside, it's also a wonderfully refreshing read. Because this book isn't JUST a collection of the designs you've been browsing/buying for years. It's also a portrait of a company founded by two people who stumbled onto success (fiscal and otherwise). The Threadless co-founders ("the two Jakes") eschew business school buzzwords like "crowdsource" and "collective innovation consortium;" both willfully admit they're not particularly good businessmen and needed outside help when their company took off. They're just a pair of guys who wanted to make some cool t-shirts. Both come off as genuine and incredibly likable, ostensibly proving that success is as simple as a good idea, a passion and a strong work ethic. Hence, the books succeeds on two levels; first as a collection of inspiring/interesting images, second as a wonderful narrative about two friends who psuedo-accidentally monetized a wonderful idea and brought graphic designers together by forming a community/marketplace where good design is both encouraged and rewarded. Halfway through your first reading you'll want to drop everything and open up a new Photoshop file. Buy this book. Then buy another for your best friend. 4.0 颗星，最多 5 颗星Pretty nice! Pretty nice book for aspiring t-shirt design artists. 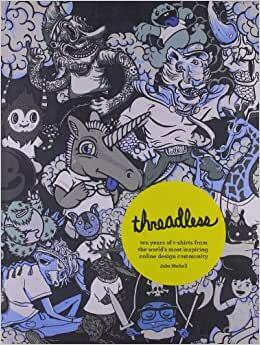 Fantastic story of how Threadless was founded. Insightful.